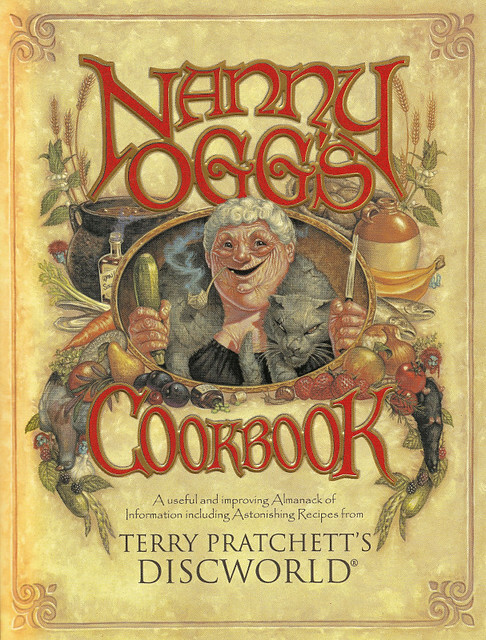 Nanny Ogg’s Cookbook (Terry Pratchett, 1999), which is a “useful and improving Almanack of Information including Astonishing Recipes from Terry Pratchett’s Discworld”. As my ComicCon costume of Discworld Death probably hinted, I am a huge fan of this series of books. I’m currently loaning my copies out in the hope that my friends will want to do a group costume next year. I am looking forward to trying such recipes from the book as Sticky Toffee Rat Onna Stick (page 98) and Nanny Ogg’s Perfectly Innocent Porridge with Completely Inoffensive Honey Mixture Which Shouldn’t Make Anyone’s Wife Laugh (page 70). Honestly, the book is more of a hilarious commentary than an actual cookbook, but I do hope to try out some of the recipes just for fun. Many [of the recipes] are still favourites today, yet others have somehow been forgotten. Certainly the quantities are often overwhelming, the directions not always precise and indeed sometimes the ingredients are not suitable for present-day use. Nonetheless the able cook need not be disheartened — commonsense and a little imagination are all that is required to adapt some of these ideas into delicious realities. The contents of the book are much older than the printing date, as they originate from an 18th-century household library. Luckily there is a glossary, as some of the terminology is no longer in use, and the Net will help me fill in the other blanks. Some substitutions will have to be made, since a number of the ingredients are no longer in common use, and others aren’t available outside of England. 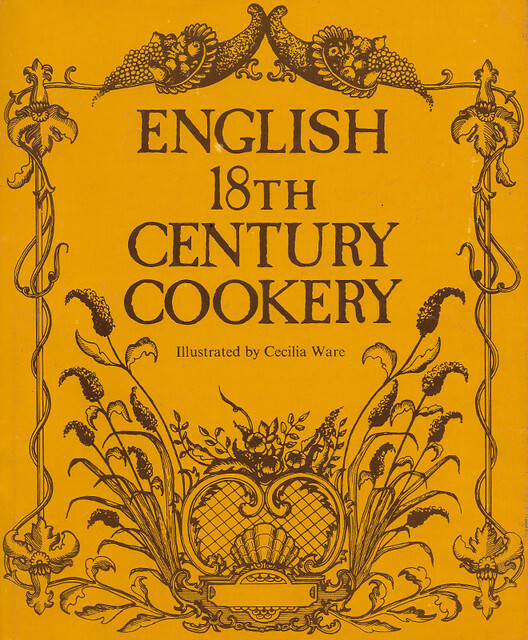 Updating recipes from this book looks to be an interesting challenge that I hope I am up to! Posted on September 18, 2017 September 18, 2017 by owntwohandsblogPosted in CookingTagged books, cookbook, thrift store, thrifting. Love the cookbook finds! Can’t wait to see what you try from the 18th century one! My strategy is to start with the recipes I’m most familiar with (e.g., stews, cakes, etc.) because I generally know what quantities should go in them!